Memphis News and Events | Memphis Flyer | Image Archives | Bigs and Balance: Elevating Marc Gasol and sharing the ball will be the Grizzlies' second-half path. Bigs and Balance: Elevating Marc Gasol and sharing the ball will be the Grizzlies' second-half path. 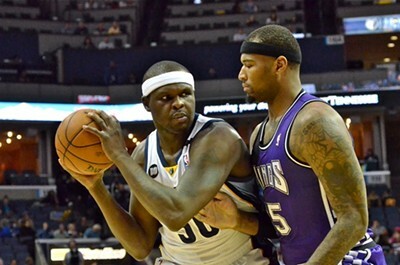 Zach Randolph has bounced back from a rough January, but dealing Rudy Gay hasn't really changed his role so far. Postgame Notebook: Grizzlies 110, Celtics 106 — Gasol Sits, Bayless Erupts in a Weird, Wild One. The Grizzlies pushed the Lakers around.